News is a publication of daily or weekly and includes international news, stories, advertisements, announcements, sports news and business news. It is important method to let people know everything that happen in their local area around the world. Even with the advancements in computer and mobile technology. It is important to know the different section in news application for android and iOS. What information each content contains, in this busy schedule life we hardly get time to pick up the newspaper and read it. But with the news application for android and iOS we can easily go through any news and headlines in no time and get news headline easily. Headlines: This tells us about the today’s headlines or the important news which is important for the day. Latest News: This section will show us all the new news which is being fetched and shows us thought world. 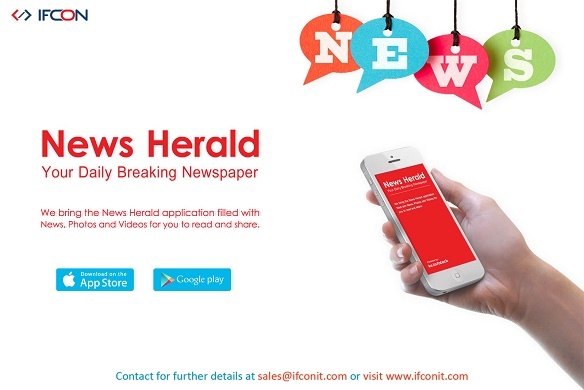 India: people out their can use this application to know the latest news about India of the Indians who all are living outside can use this application News Herald for knowing news about their country. International News: It broadcast the news all over the world, what is going in other countries also. State: Here we can get to know the news of our states and surroundings. What is going at your city and state. Entertainment: Entertainment section is something we can check what is going on in Bollywood and Hollywood news, News herald help in knowing about your favorite stars an their life. Sports: This is the most entertaining section for each and every player lover, cricket fever is very important to know who all are playing match know scores. Which tournament is going to happen, when and where. Technology: This technology related section helps us in knowing news about the new technology which is being launched. Such as news like Freedom 251 new smartphone at cheapest rate till know in the world. Business news: This news are debate topic for each and everyone their in business news such as” hike decided to use artificial intelligence to beat whatsapp”. There are more in news herald for news lovers news related like Finance, marketing, travels, beauty and health, and education. We can get this news in know time. In just one click we can have every information going on thought world. 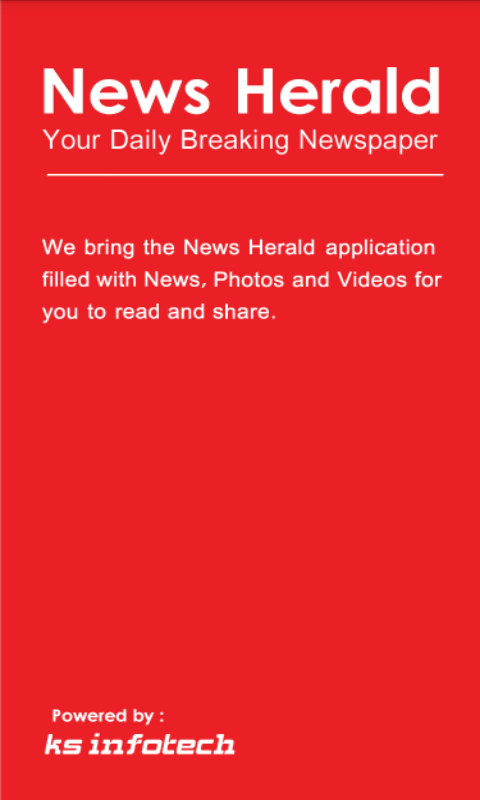 What are your views for news application for android and iOS?